Hi, we are the Grocery Geek team who are headed up by “The Grocery Geek” (yes, he really is a total “geek” when it comes to grocery products) and together we are a small team of ex-grocery people (collectively, with over 40 years experience in the Australian Supermarket industry) who are obsessed with new grocery products that are released in supermarkets – and that is the prime purpose of this website… to provide a centralised website where you can find out about all of the new products that are released every week in Australian supermarkets. Why a website for new grocery products? Well, firstly new grocery products are cool and interesting… or so we reckon anyway. Secondly, as you are most likely aware, not every new grocery product is available at every supermarket group. Some new lines are only available at specific groups (e.g. Exclusive Woolworths Only / Coles Only) and some smaller groups just don’t range a new product, so if you don’t go to every supermarket group and walk every aisle regularly the chances are you won’t know about every new product. And lastly, many new products that are released, are not widely advertised, but now, from our [The Grocery Geek] website, you can be one of the first to find out about all new grocery products as they are released. On top of new lines, we will also bring you news, information and commentary that will interest and/or empower supermarket consumers in Australia, whilst at the same time; hopefully adding a little bit of fun to what can be a pretty mundane task… going to the supermarket. Whether it’s Coles, Woolworths, Aldi, IGA, Foodland, Spar or an independent supermarkets (either bricks & mortar, or web based) we will cover what is happening… and we assure you, that we are totally independent of any supermarket group or manufacturer. And yes, we welcome every manufacturer, or retailer, to send us details of their new lines or any news that will be of interest to consumers so that we can publish it here on our website (yes, of course, it is free!) – just contact us. 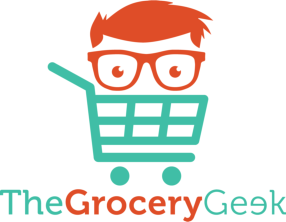 Don’t forget you can also follow the ‘The Grocery Geek’ on Facebook, and/or subscribe to our Grocery Geek weekly update emails. We hope you enjoy and have fun!